This neckline is fast trending amongst youngsters. It is an amalgamation of various patters, either buttons, embroidery or patchwork. The body of the kurta accompanying this style is usually mono color and has a waved hem line to complement the neck pattern. Looks great on people with long necks. This pattern has been around for a few decades. 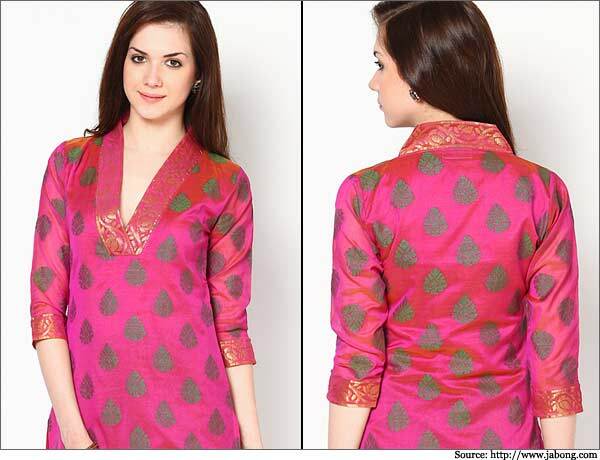 The neck of the kurta is shaped like a boat, tapering at the shoulders and broader towards the center. It enhances your shoulders and makes you look broader and is best suited for girls who have well defined collar bones. This type became especially popular after Rani Mukherjee was seen sporting it in the movie Bunty aur Babli. The well-defined angles of the collars make it an ideal choice to pair with jeans or jeggings. They give a ready to go, semi-formal and official look. This is very similar to the necklines of round neck T-shirts. They help in making the outfit look more indo-western and are off late being spotted in many celebrity cocktail events. The neckline is usually highlighted by stringing it with a chunk of long thin beads. 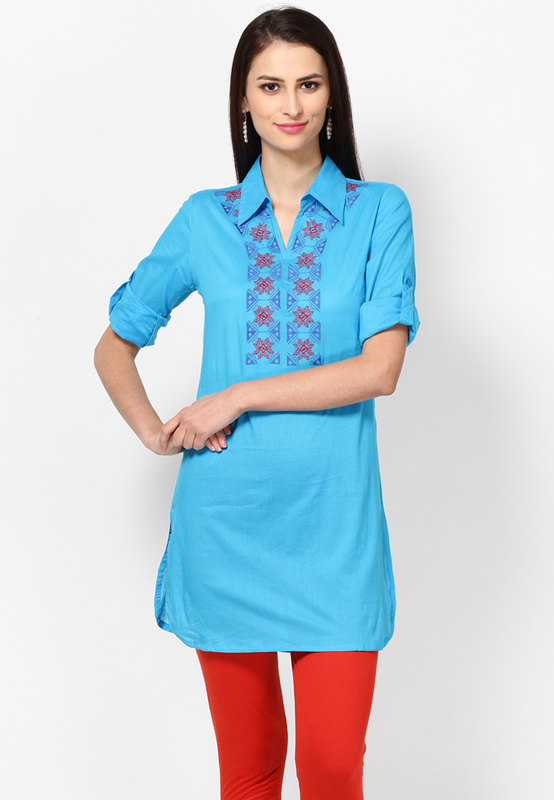 The body of the kurti is made to contrast the color of the neckline. More popularly known as “Bandh Gala”, this style is an adapted from the men’s clothing line. 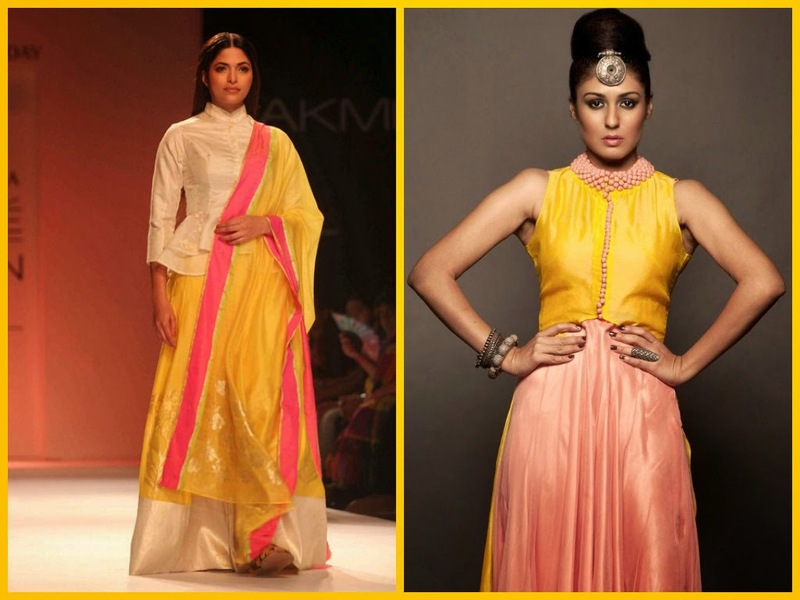 It gained popularity when the need for a dupatta was done away with. The neckline is highly embroidered and is studded with multicolor beads and buttons. This is ideal for work environment and helps to make your neck look slimmer. 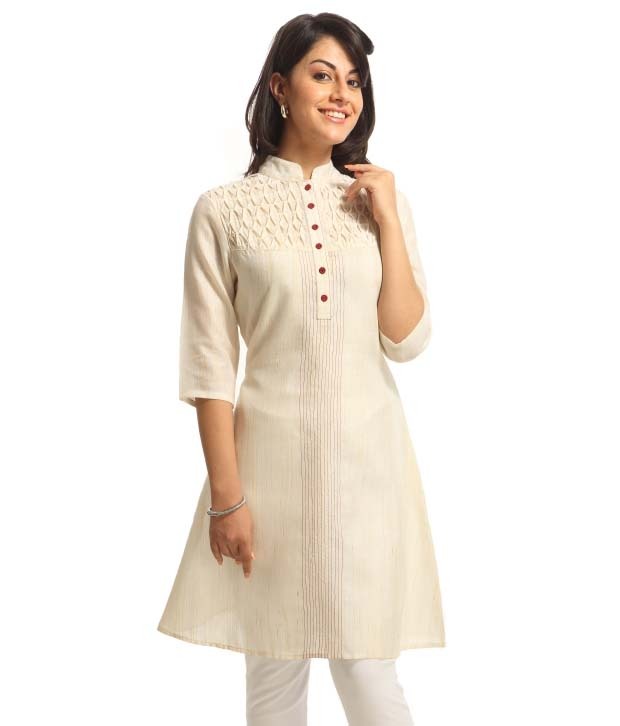 This is one of the most common necklines for kurti’s. Casual and easy to pull off, this suits most face cuts and goes well when teamed with jeans or leggings. The V line is made bolder than the rest of the kurti helping increase focus on this region. The scoop neckline is unique, it accentuates the dress by drawing attention to the dress rather than the neckline itself. It is a oval or round neckline with a much deeper cut than normal necklines. This type of neckline helps to broaden shoulders and hide slouches. Its quite easy for people those are interested to buy after seeing designs. Thanks for the post.